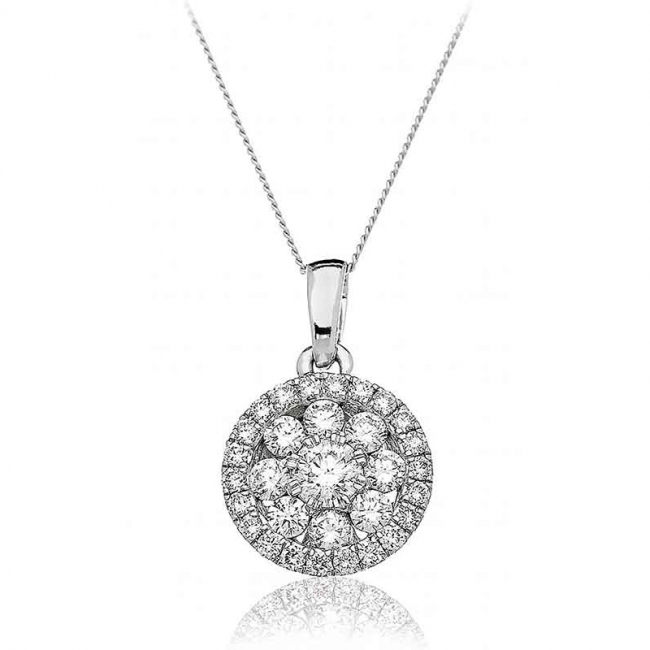 Stunning diamond drop pendant featuring a beautiful design made up of a centre cluster with a surrounding halo of round cut diamonds. This high quality necklace is expertly crafted from solid UK hallmarked 18k white gold using quality certified H/SI diamonds. Delivered free with a luxury wooden gift box, authenticity certificate and a full 12 month guarantee. Thanks ive received the neckace, it's great. The mrs is very happy!! !